This OO gauge layout is based on a small Somerset and Dorset Railway terminus as it would have been in the 1920/30s. Several of our members have carried out extensive research to ensure that the details are correct to period and railway company. 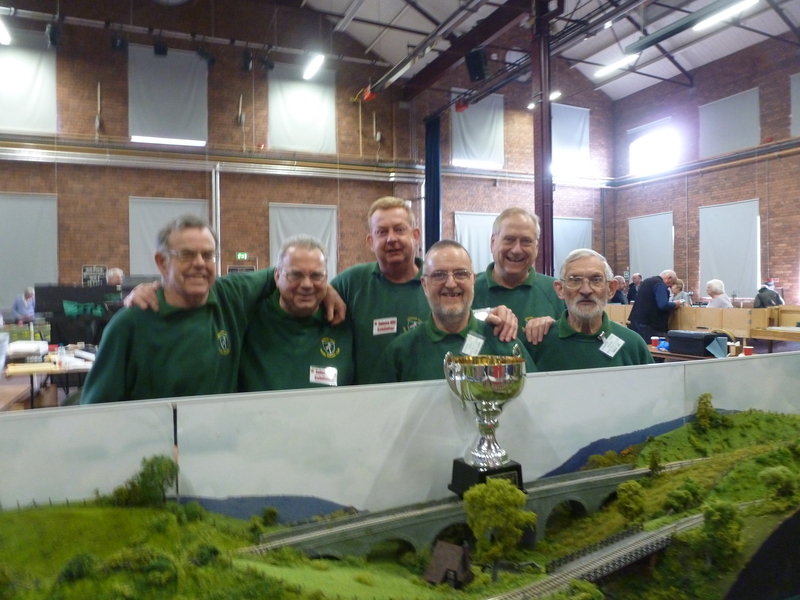 The buildings have been scratch built by our member Peter Watson and are based on actual buildings that were on the railway or surrounding area. The track and point work was hand built by some of our members. Peter has also worked out a timetable and has assembled correct train formations. The dimensions of this layout are 12ft by 2ft. Please note this layout is not yet finished, some buildings need completing and the station building has not yet been built. This layout is not available for exhibition. An OO layout 26ft x 2′, fiddle yard to terminus layout. This layout is based on a small branch line with a connecting mineral line. The track has been hand built and it is the proud boast of this group that there is not a straight bit of track on this layout. It is not based on any part of the country or era, but steam locomotives will be the usual motive power. Great effort and care has been taken over the scenery. 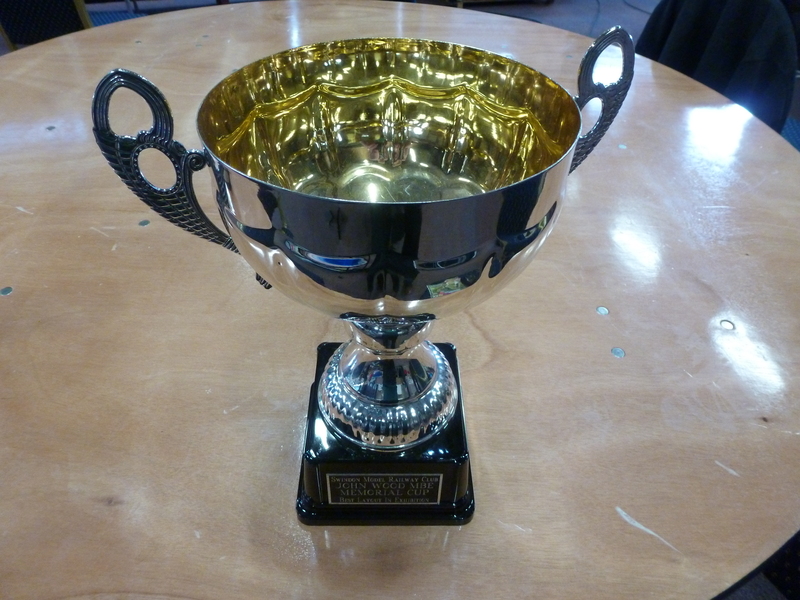 In 2016 the layout was awarded the John Wood Memorial Cup for the best scenic layout at the Swindon Model Railway Exhibition. In 2016 the electrical control systems were upgraded using MERG control modules. The layout can now be controlled using digital or analogue systems. This is our first venture into digital command control. 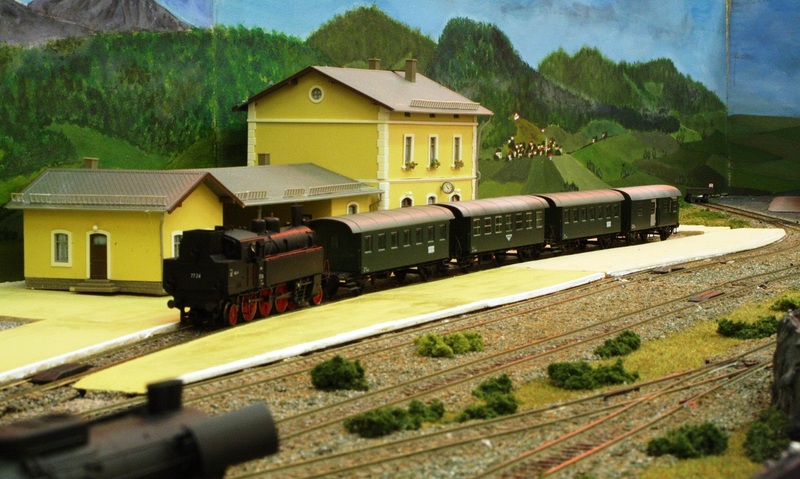 It is an OO gauge layout and is based on a Motive Power Depot in the transition between steam and diesel power. The loco’s are controlled using a digitrax system. 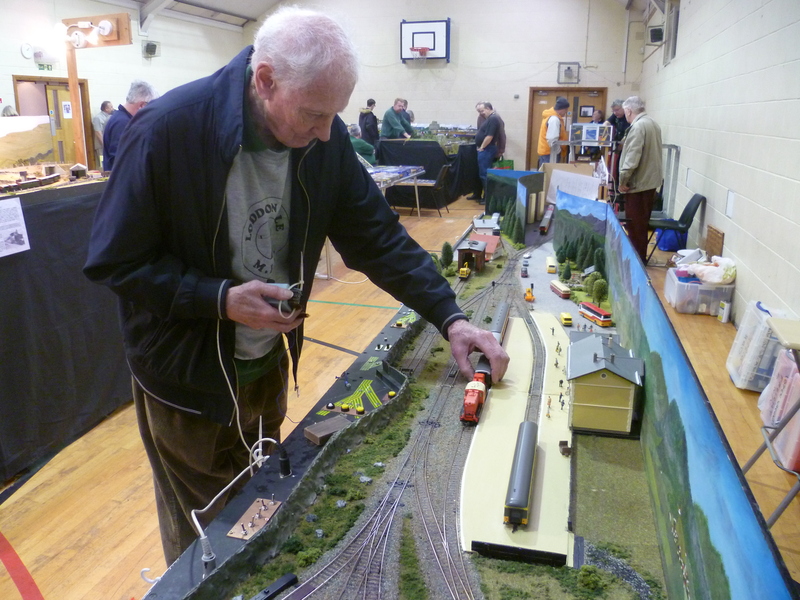 The points are controlled using a system built from kits supplied by the Model Electronic Railway Group. The track and points are Peco and we are using Seep point motors. Ballast and ash has been liberally spread around the tracks. 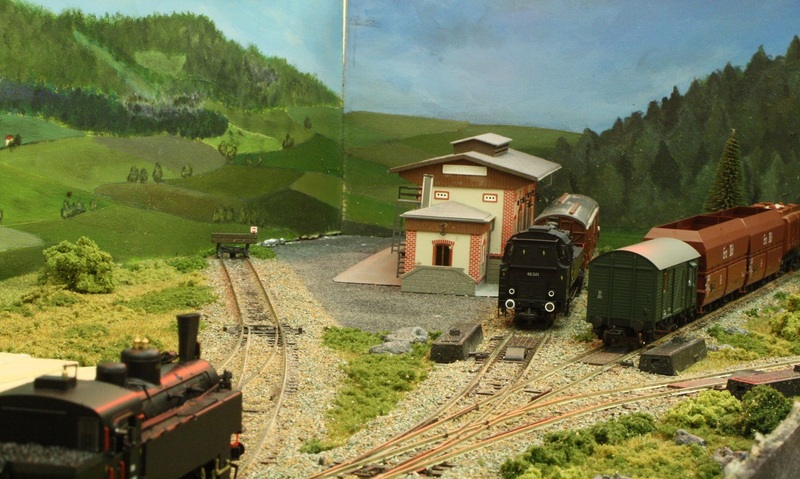 We have also have a kit built loco shed and coaling stage. A working Peco turntable has been installed. The dimensions of this layout are 12ft by 2ft. 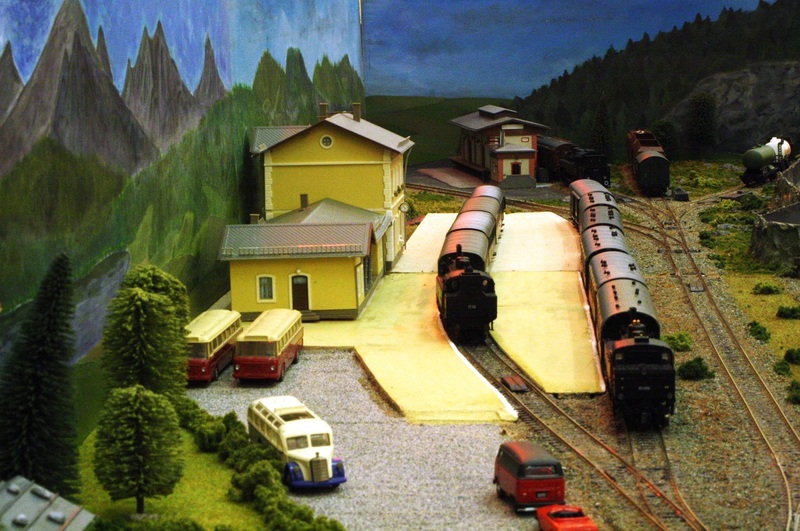 This HO layout is being built by members with an interest in European railways. It is a small Austrian terminus using steam and diesel locomotives. The layout represents an Austrian branch terminus, loosely based on the lines in the Salzammergut. Using members stock the layout can be operated in several different era’s ranging from steam in the 1950’s up to diesel power in the early 2000’s. There has been a lot of detail added to the layout bringing it alive and giving the audience plenty to look at. The driving force behind this layout was Brian Wilson, who sadly died in early 2017. We miss his great knowledge of Austrian Railways and his keen sense of humour. 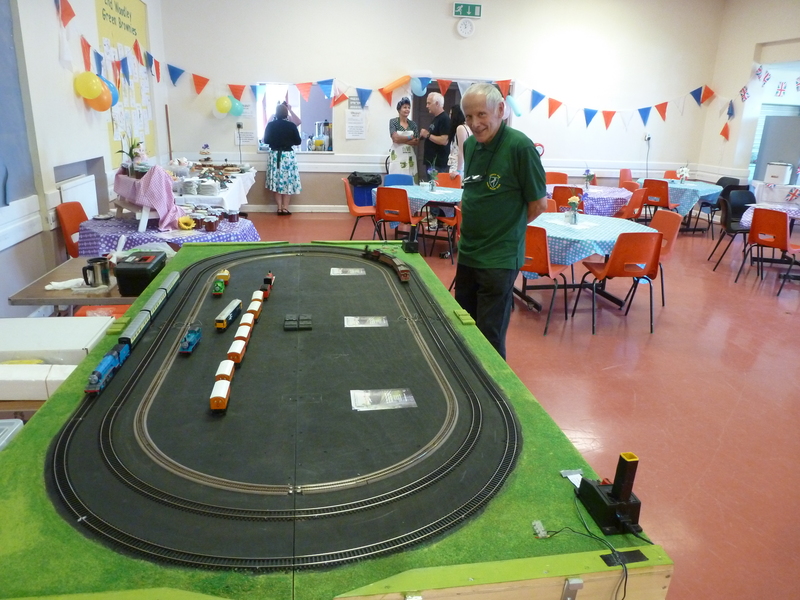 His family have kindly agreed to allow the club to use Brian’s locomotives and rolling stock so we can display the layout as a fitting tribute to him. The dimensions of this layout are 12ft by 2ft. This new layout was commenced in September 2013. Track is in the process of being put down and point motors fitted, several building kits have been made. The track is Peco code 75 with electrofrog points and Peco point motors. Our latest OO gauge layout. This is a continuous run layout. It has very generous curves and is a twin track secondary line with a branch line connecting with it at the station. The twin track loops have been laid and a battery powered locomotive has been run all around them. It was decided to buy the new Peco bullhead track for the scenic section, this has caused the track laying gang some getting used to, as it is harder to lay but is worth the effort when it is down. Updated November 2017. This was built to give members the opportunity to run their OO locomotives around this test track. 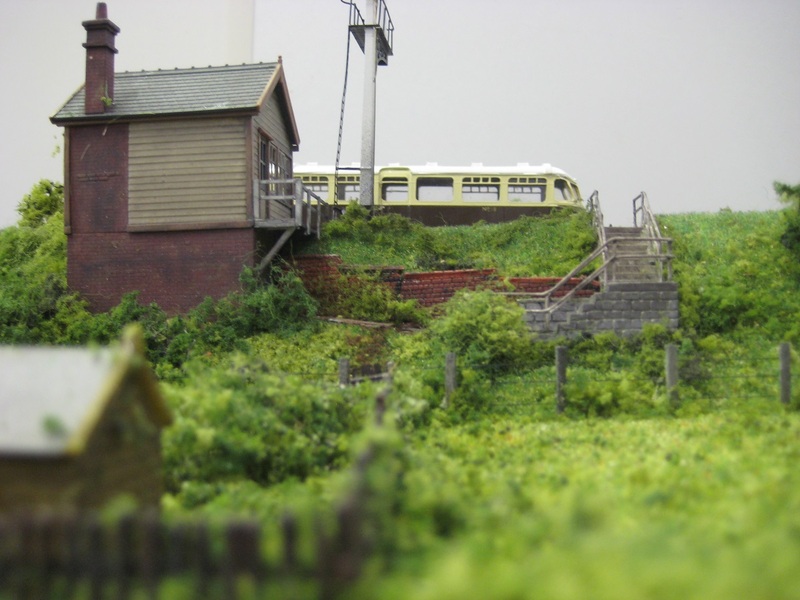 We have recently installed a loop of N gauge track as well. This track is put out every week and has proved very popular with the members. 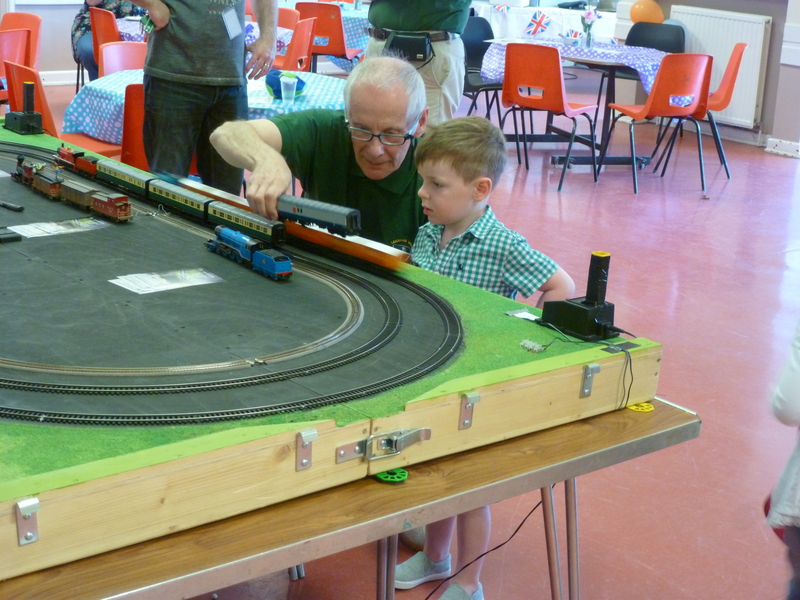 We also use it as a Children’s layout at exhibitions and it has proved a hit with the young ones, and not so young, as they are allowed to drive trains around the loops at speed. Layout set up and waiting for the children. 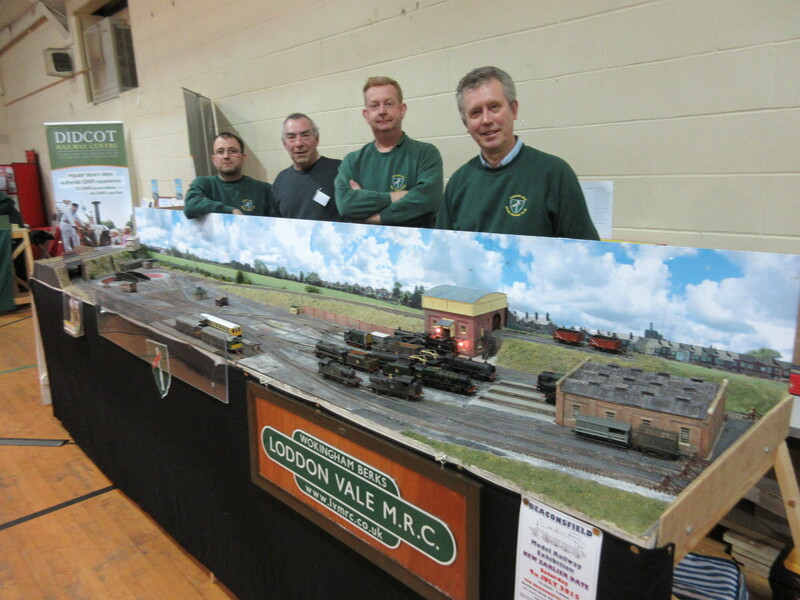 Loddon Vale Model Railway Club © 2019. All Rights Reserved.